I feel like I never left except it’s warmer now and the sun won’t go down. Alaska has a special feel to me like just being happy and independent and strong. And that’s how I started my first day. I couldn’t wait to get outside, so I grabbed my camera and headed across the highway to a turnout on the Turnagain Arm. One trail led to another, each getting smaller, but each getting me closer to the creek and then I spotted him. I spent the next forty-five minutes capturing or trying to capture the antics of an American Dipper. 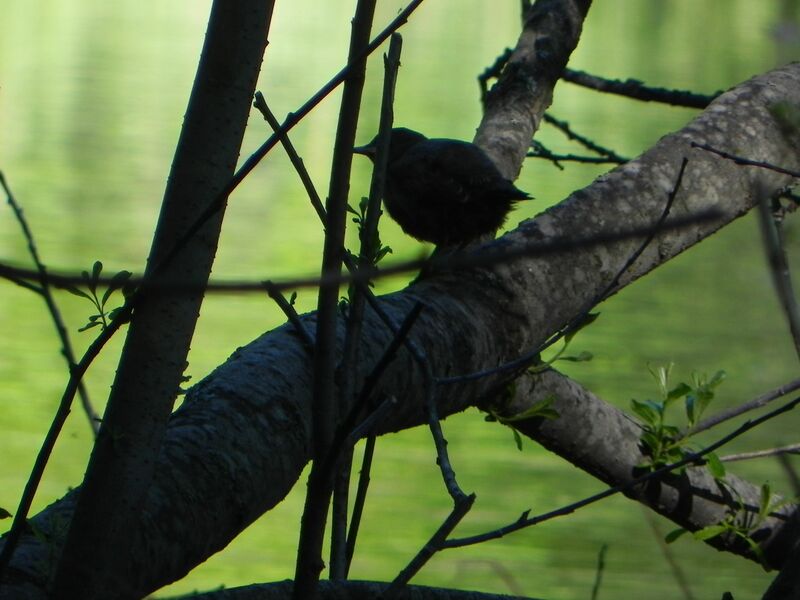 He’s a puffy little bird that loves the fast running water, jumping in and out, submerging himself and at one point flying straight out of the creek into the air. Time had ceased to exist. I was in the moment and having the time of my life and that is why I love Alaska. So glad I am back. By the way this is Blynne Froke, Target® 2012 Iditarod Teacher on the Trail™.